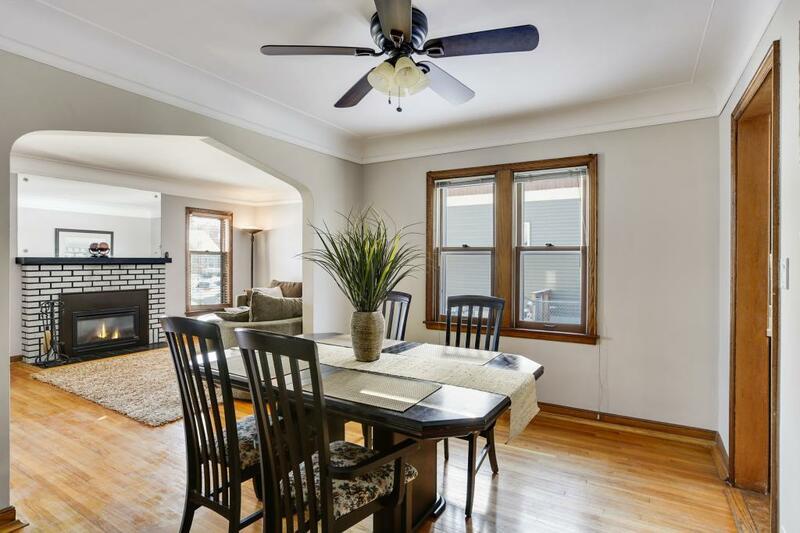 CHARMING 1-1/2 STORY IN A HIGH DEMAND NEIGHBORHOOD FEATURING A LARGE OWNERS SUITE, MAPLE FLOORS, WALK-IN CLOSET PLUS A PRIVATE MASTER BATH IS EVERYTHING YOU WOULD WANT! ALSO FEATURES OAK FLOORS THROUGHOUT THE MAIN LEVEL WITH A FIREPLACE IN THE LIVING ROOM. THE TONGUE AND GROOVE KNOTTY PINE THROUGHOUT BASEMENT, WET BAR AND SECOND KITCHEN SURROUNDED BY A FIREPLACE MAKES IT A PERFECT FOR ENTERTAINING SPOT!